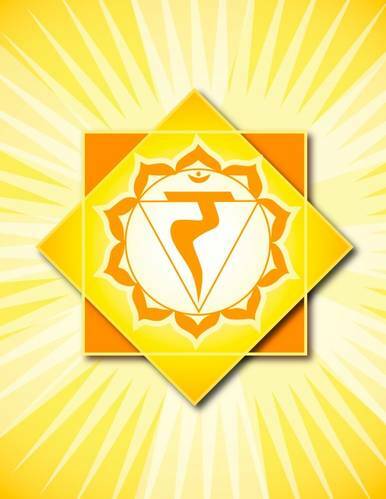 The Solar Plexus Chakra is located and inch or two above the navel. This Chakra is the focus point for our power and will. Our sense of power, ego and authority, as well as self-control and discipline are centered here. Yellow is a creative color and relates to self-worth... how we feel about ourselves and how we feel other people perceive us.